A first question of course is who should be laid off. While this is largely a management decision based on which positions are the most important to future financial stability, an important HR component is making sure that the layoffs don’t put the organization at risk. Check the personnel handbook for policies that address layoff and/or severance pay, and check to see whether employees marked for layoff are on any kind of protected leave (such as family or medical leave, workers’ compensation leave, or pregnancy disability leave). 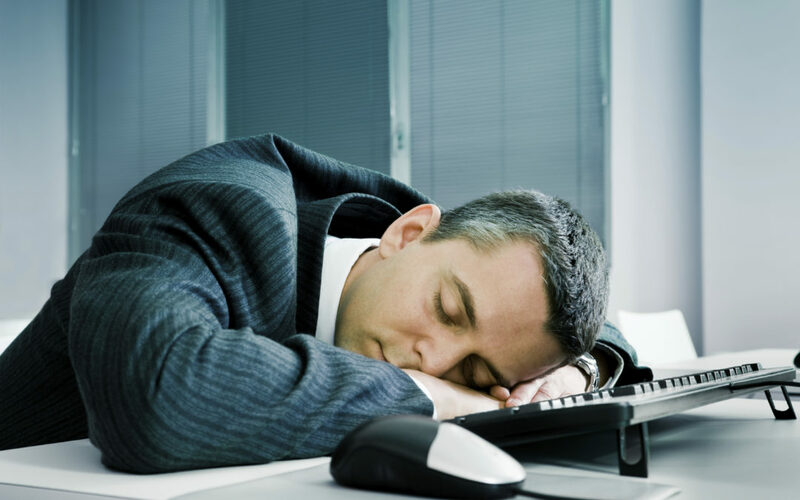 If possible, speak with an HR or labor law attorney about employees on protected leave. In most community nonprofits there aren’t, for example, 15 people holding the same position of Social Worker I, with an intention to lay off 3 of these employees. In such an instance, though, it will be important to clarify whether the layoffs are being made based on seniority, on merit, or on a combination of factors. Most organizations would prefer to lay off the least meritorious individuals with the least seniority. The nonprofit should check past evaluations and documentation of performance in order to avoid discrimination claims. For most community nonprofits, however, it will be clear that a position is being eliminated, rather than an individual being selected for poor performance. In all cases, document the whys of each decision you make, perhaps with business necessity as the main theme and with merit and seniority as considerations. Determine whether your organization is subject to either federal or state Worker Adjustment and Retraining Notification (WARN) regulations. Generally applicable if you have 100 or more employees, and for layoffs of 50 or more employees or 1/3 of your workforce, WARN requires 60-day layoff notices and other steps. It’s generally better to do a deeper layoff once than to lay off a few people at a time in dribs and drabs: the staff who remain need to feel confident that they will stay on their jobs. Most professionals recommend that individuals finish the day or the week after hearing about being laid off, but not longer than that. It’s usually difficult for the laid off employee to feel positive about work, and others may feel awkward around them. (See Layoff Stories from Blue Avocado Readers for examples.) But it will be key to discuss how the employee’s clients or projects will be managed after his or her departure. Letting people know on a Friday will give them the weekend to absorb the news. Have a FAQ (frequently asked questions) sheet for people who will be giving layoff news, such as what references can be given, how long the employee will have access to his organizational email account, how will her clients be notified of a change in organizational contact, and so forth. After layoffs have been announced, managers may be tempted to retreat to their offices and look buried in work, but encourage them to circulate with the staff, ask and answer questions, and demonstrate confidence. Nonprofits tend to consider only permanent layoffs. Sometimes short-term layoffs can be effective ways to save jobs while protecting the organization’s financial status. For example, there may be an unexpected two-month gap between the completion of one government contract and its renewal. 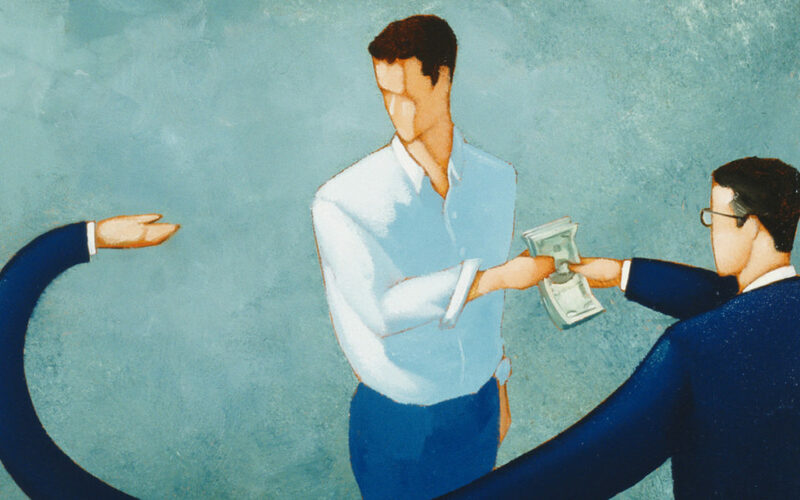 In the past, your organization may have been able to keep paying the individuals on that contract during the gap, but this time you may need to lay them off, letting them know that if the renewal comes through they may be called back within several weeks. However, check your state laws to see if you are required to pay out all accrued vacation if you close down for a week or more. We know of at least one nonprofit charged with violating such a requirement that had to pay substantial fines and penalties before it reopened its doors two weeks later. Exempt employees cannot be paid for less than a full week if they have worked any day that week (remember that obscure definition of the workweek in your personnel handbook? ), so furloughs don’t reduce payroll costs for exempt staff. What you can do, however, if you are furloughing exempt staff for one day per week, is to reduce their full-time salaries by 20%. Be clear whether employees will continue accruing vacation and receiving benefits at their full-time levels (typically yes), and whether an employee taking a furlough on a holiday will still be paid for the holiday (typically no). Keep in mind that some international staff on H1-B visas may need to work a certain number of hours a week to be eligible to work in the United States. Remind employees whose wages are being garnished or who have deductions for child support that these amounts may be affected. Some nonprofits pick a slow week (perhaps Fourth of July week, school spring vacation, etc.) to close down. Closing for a full week allows the organization to save on both exempt and non-exempt payroll (remind exempt employees that they cannot do any work that week — even checking their work email — lest they trigger a legal requirement to pay them for the full week). Some employees may find this a relatively easy cut to accept, but for others, even a one-week closure may result in a loss of pay that is untenable. Give employees the option of using their accrued vacation pay during the shutdown or taking the week off as unpaid leave, otherwise you may be required to pay out all accrued but unused vacation. Finally, remember that many, many nonprofits (and for-profits) are feeling the pinch. Reach out to contacts in other nonprofits to see how they’re handling things, and to identify local resources for people losing their jobs. And post a Comment below to let Blue Avocado readers know your ideas and tips. At any given time, one-in-five American adults suffer from a mental health condition that impacts their daily lives. Stress, anxiety, and depression are among the most prevalent for injured workers. Left untreated they can render a seemingly straightforward claim nearly unmanageable, resulting in poor outcomes and exorbitant costs. Increasingly, many in our industry are recognizing the need to proactively do all we can to address this critical issue. We must openly discuss and gain a deep understanding of a subject that until now has been taboo. Mental health conditions are the most expensive health challenges in the nation, behind cancer and heart disease. They are the leading cause of disabilities in high-income countries, accounting for one-third of new disability claims in western countries. These claims are growing by 10% annually. In addition to the direct costs to employers are indirect expenses, such as lost productivity, absenteeism, and presenteeism. Combined with substance abuse, mental health disorders cost employers between $80 and $100 billion in these indirect costs. In the workers’ comp system, mental health conditions have a significant impact on claim duration. As we heard from our speakers, these workers typically have poor coping skills and rely on treating physicians to help them find the pain generator, leading to overutilization of treatments and medications. More than 50% of injured workers experience clinically-related depressive symptoms at some point, especially during the first month after the injury. 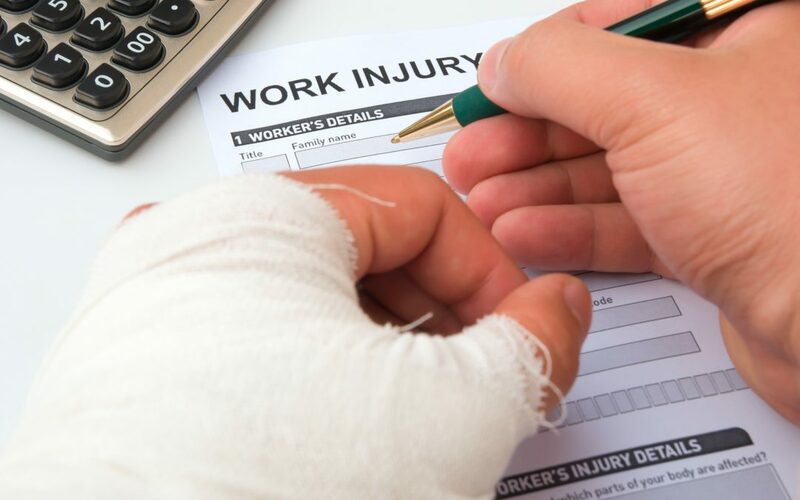 In addition to the injured worker himself, family members are three times more likely to be hospitalized three months after the person’s injury. 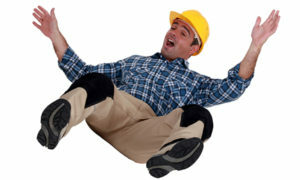 Many speculate that the distraction of a family member leads the injured worker to engage in unsafe behaviors. Mental health problems can affect any employee at any time and the reasons they develop are varied. Genetics, adverse childhood experiences and environmental stimuli may be the cause. One of our speakers relayed the story of a claim that seemed on track for an easy resolution, only to go off the rails a year after the injury. The injured worker, in this case, was a counselor who had lost an eye after being stabbed with a pen by a client. Despite his physical recovery, the injured worker began to struggle emotionally when he finally realized that for the rest of his life he would be blind in one eye. Because his mental health concerns were raised one year after the injury, there were some questions about whether he might be trying to game the system. Mental health conditions — also called biopsychosocial or behavioral health — often surprise the person himself. Depression can develop over time and the person is not clued in until he finds himself struggling. As one speaker explained, the once clear and distinct lines of coping, confidence, and perspective start to become blurred. In a workers’ comp claim, it can become the 800-pound elephant in the room that nobody wants to touch, talk about or address. Organizations willing to look at and address these issues can see quicker recoveries. But there are several obstacles to be overcome. Stigma and social prejudice are one of the biggest challenges. People who do realize they have a problem are often hesitant to come forward, fearing negative reactions from their co-workers and others. Depictions of people suffering from behavioral health issues in mass media are often negative but are believed by the general public. Many people incorrectly think mental health conditions render a person incompetent and dangerous; that all such conditions are alike and severe; and that treatment causes more harm than good. As we learned in the webinar, treatment does work and many people with mental health conditions do recover and lead healthy, productive lives. Avoiding the use of negative words or actions can help erase the stigma. Perceptions of medical providers or employers as authority figures can be a deterrent to recovery. Family dynamics can play a role, as some cultures rely on all family members to participate when an injured worker is recovering. Claims professionals and nurses need the training to understand the cultural issues that may be at play in a claim, so they do not miss the opportunity to help the injured worker. Another hurdle to addressing psychosocial issues in the workers’ comp system is the focus on compliance, regulations and legal management. We are concerned about timelines and documentation, sometimes to the extent that we don’t think about potential mental health challenges, even when there is clearly a non-medical problem. Claims professionals are taught to get each claim to resolution as quickly and easily as possible. Medical providers — especially specialists — are accustomed to working from tests and images within their own worlds, not on feelings and emotional well-being. Mental health issues, when they are present, do not jump off the page. It takes understanding and processes, which have not been the norm in the industry. Another challenge is the fact that the number of behavioral health specialists in the country is low, especially in the workers’ comp system. Projections suggest that the demand will exceed the supply of such providers in the next decade. Our speakers explained that with time and commitment, organizations can persuade these specialists to become involved. Jurisdictions vary in terms of how or whether they allow mental health-related claims to be covered by workers’ comp. Some states allow for physical/mental claims, where the injury is said to cause a mental health condition — such as depression. “Mental/mental claims” mean a mental stimulus causes a mental injury. Even among states that allow for these claims, there is wide variation. It typically hinges on whether an “unusual and extraordinary” incident occurred that resulted in a mental disability. A number of states have or are considering coverage for post-traumatic stress among first responders. The issue is controversial, as some argue that the nature of the job is itself unusual and extraordinary, and these workers should not be given benefits. Others say extreme situations, such as a school shooting, is unusual enough to warrant coverage. Despite the challenges, there are actions employers and payers are successfully taking to identify and address psychosocial conditions. For example, Albertsons has a pilot program to identify and intervene with injured workers at risk of mental health issues that are showing promise. The workers are told about a voluntary, confidential pain screening questionnaire. Those who score high (i.e. are more at risk for delayed recoveries) are asked to participate in a cognitive behavioral health coaching program. A team approach is used, with the claims examiner, nurse, treating physician and treating psychologist involved. The focus is on recovery and skill acquisition. A letter and packet of information are given to the treating physician by a nurse who educates them about the program. The physician is then asked to refer the injured worker to the program, to reduce suspicion and demonstrate the physician’s support. Training and educating claims professionals is a tactic some organizations are taking to better address psychosocial issues among injured workers. The Connecticut-based Workers’ Compensation Trust also holds educational sessions for its staff with nationally known experts as speakers. Articles and newsletters are sent to members to solicit their help in identifying at-risk injured workers. Ongoing communicating with the injured worker is vital. Asking how they are doing, whether they have spoken to their employer when they see themselves returning to work are among the questions that can reveal underlying psychosocial issues. Nurse case managers can also be a great source of information and intervention with at-risk injured workers. Providing the resources to allow employees to do their jobs and feel valued within the organization helps create a sense of control, empowerment, and belonging. Helping workers balance their workloads and lives also creates a more supportive environment, as does provide a safe and appealing workspace. 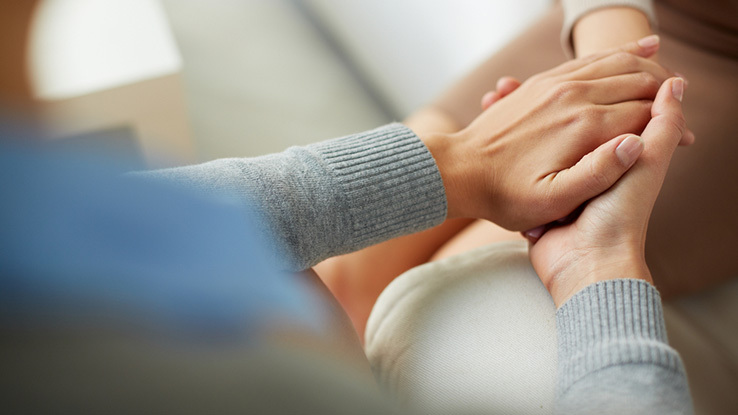 And being willing to openly discuss and provide support for those with mental health conditions can ensure workers get the treatment they need as soon as possible. Following the presidential election workers compensation legal experts say they are in wait-and-see mode with regard to the recent uptick in U.S. Equal Employment Opportunity Commission complaints. “Everything with the EEOC may be off because of the election results this week,” said Chicago-based Jeff Nowak, co-chair of the labor and employment practice group with Franczek Radelet P.C., in a webinar hosted Thursday by the Disability Management Employer Coalition on Thursday. The webinar focused specifically on how workers comp intersects with the Americans with Disabilities Act Amendments Act and the Family and Medical Leave Act, and provided tips on how to avoid penalties, fines and lawsuits. Mr. Nowak, who said he is watching whether the EEOC will be the priority for Donald Trump’s administration that it has been for other administrations, said a number of pending complaints and rulings are highlighting the difficulty for employers who want to both comply with federal laws and get injured employees back to work. Adopted in 2008, the ADAAA amended the ADA, which essentially bars employers from discriminating against people with disabilities in any aspect of employment-related activities. Under the FMLA, employers are required to give their employees up to 12 weeks of unpaid leave per year for specific reasons, including a serious health condition or to care for an immediate family member who has a serious health condition. According to experts, the two can intersect with workers comp and create EEOC complaints. Panelists highlighted communication with employees as a better way to smooth the path to avoids costly litigation. Dubbed the “interactive process” in worker comp, this communication requirement calls for each side of a claim to exchange of information in good faith. It is key to implementing ADAAA and FMLA requirements and state regulations that govern workers comp, experts say. “The risk of litigation increases when an employer is ignorant about their obligations under ADAAA to engage in the interactive process … they are unwilling to think creatively what they can do to that job, what changes can they make to help the employee perform the job,” said Mr. Nowak. 69L-7.501: The proposed rule is amended to adopt the 2016 Edition of the Florida Workers’ Compensation Reimbursement Manual for Hospitals (“Manual”), as approved by the Three-Member Panel during a scheduled meeting held on April 20, 2016, pursuant to paragraph 440.13(12)(a), F.S. The 2016 Edition of the Manual increases the per diem reimbursement rates for surgical and non-surgical hospital inpatient services and the threshold dollar amount triggering Stop-Loss reimbursement above reimbursement allowances specified in the 2014 Edition of the Manual, as adopted by the existing rule. The 2016 Edition of the Manual also provides an updated fee schedule for various categories of hospital outpatient services based on the Current Procedural Terminology (“CPT”) line level charge data, with an adjustment of the Maximum Reimbursement Allowance (“MRA”) based on the geographic location of the service provider. 69L-7.100: The proposed rule amendment incorporates and adopts for use the 2016 Edition of the Florida Workers’ Compensation Reimbursement Manual for Ambulatory Surgical Centers (“ASC Reimbursement Manual”), as approved by the Three-Member Panel on April 20, 2016, pursuant to paragraph 440.13(12)(a), F.S. The 2016 Edition of the ASC Reimbursement Manual contains an updated list of the Maximum Reimbursement Allowances (“MRAs”) for various medical services provided to Florida’s injured workers. 69L-7.020: The proposed rule amends the existing rule to adopt and incorporate by reference the 2016 Edition of the Florida Workers’ Compensation Health Care Provider Reimbursement Manual, as approved by the Three-Member panel on April 20, 2016, pursuant to paragraph 440.13(12)(a), F.S. The aforementioned manual is updated to incorporate the 2016 Medicare Conversion Factor and Resource Based Relative Value Scale (“RBRVS”) geographic-specific reimbursement levels used to determine Maximum Reimbursement Allowances (“MRAs”) for physician’s services and non-surgical hospital outpatient services provided to Florida’s injured workers.